For the upcoming film 'The Pink Panther 2', the action takes place at many locales around the world. Creating large set pieces became necessary. To make the movement of these set pieces easier, Smooth-On's Foam-iT! 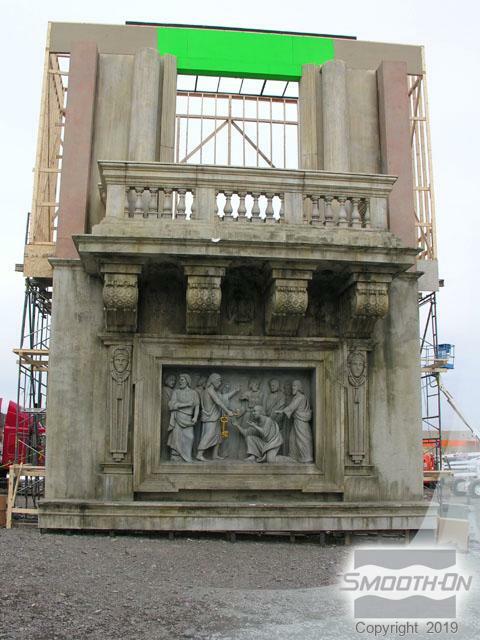 series of rigid foam was enlisted to create large architectural set pieces. The combination of perfect detail captured by the premium Foam-iT! rigid foams and creative faux finishing truly fools the eye into thinking a lightweight facade is a fully carved piece of stonework. Using Foam-iT! 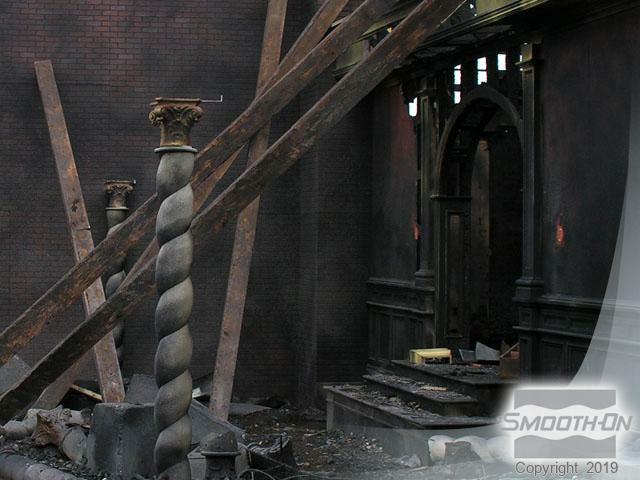 for building sets also reduces wear on the machinery used to transport the set piece from one shooting location to another. Foam pieces on this street facade make it lightweight and easy to move from location to location. The detail on the balcony facade perfectly reflects the original. 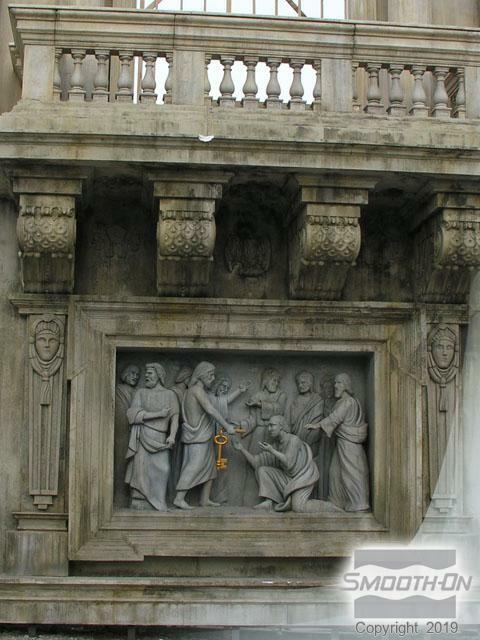 The full 'Papal Balcony' looks good enough to be in the Vatican! 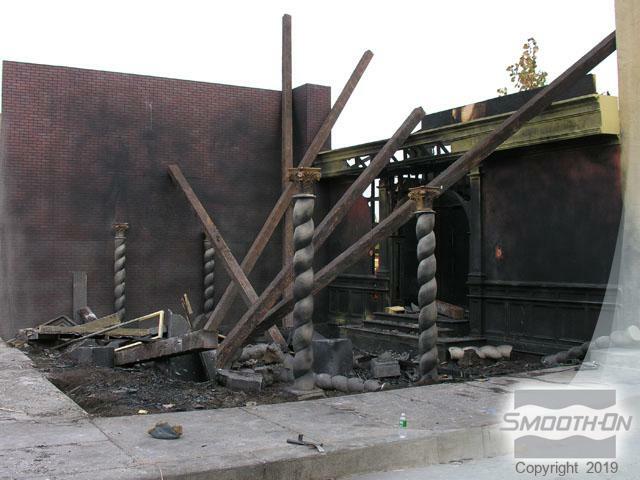 The detail of the foam burned out building set is extremely realistic. Foam-iT! 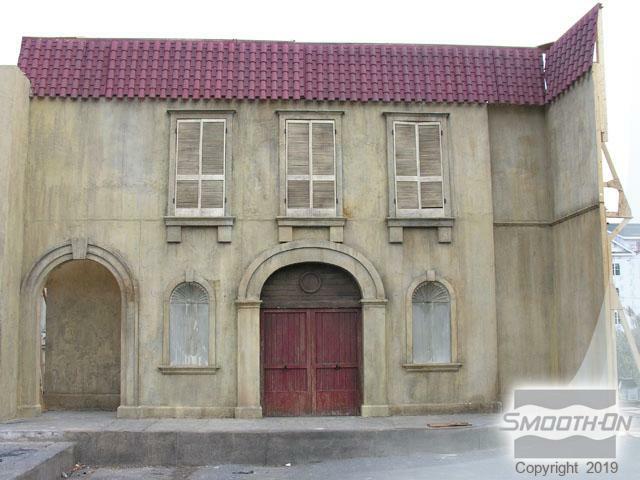 details combine with realistic paint work to create a truly 'burned out' building!